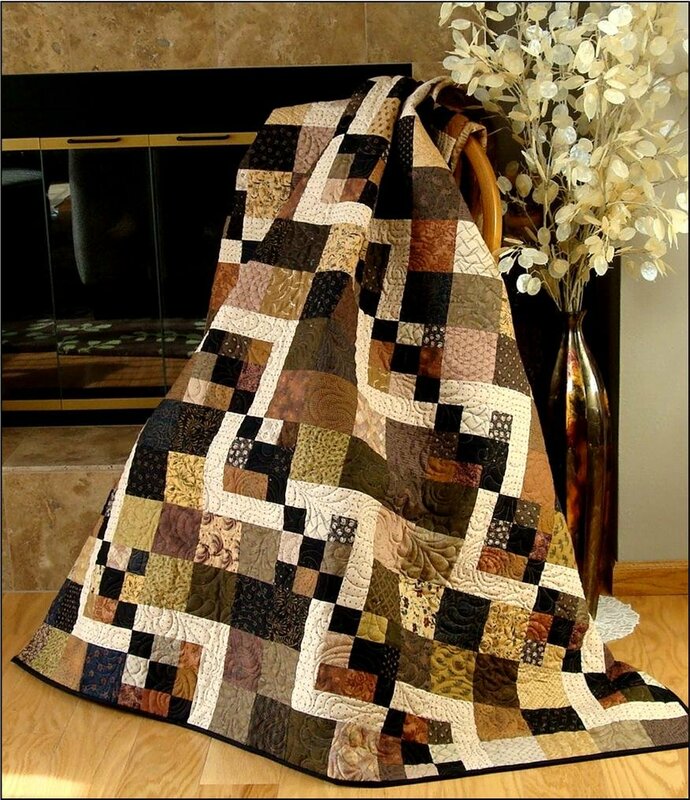 This quilt is fun, easy and fast to make. Step by step colored instructions and diagrams. Pressing instructions will make your seams interlock perfectly throughout the quilt. Use Charm Packs, Layer Cakes or your stash! The pattern gives you all the amounts needed for each size. This pattern is great for beginners to advanced. The block size is: 12" x 12" finished. Instructions for cutting the backing and binding is also included in the pattern. Crib - 36" x 48"
Lap - 48" x 60"
Twin - 60" x 84"
Full - 72" x 96"
Queen - 84" x 108"
King - 120" x 120"